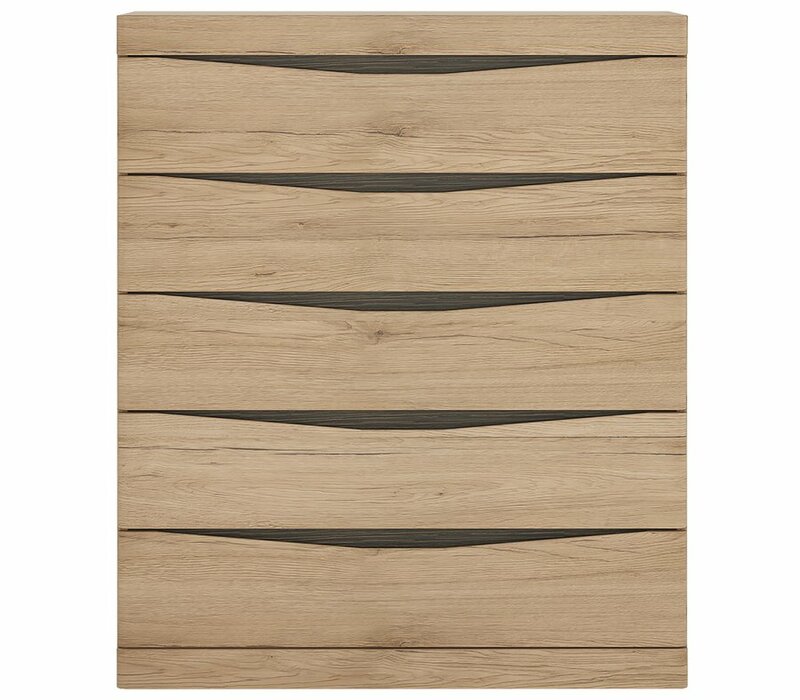 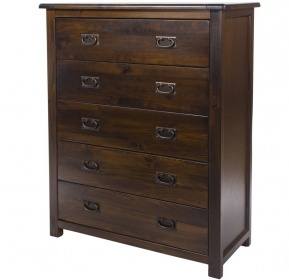 Create valuable storage space in any room of your home with this chest of drawers. 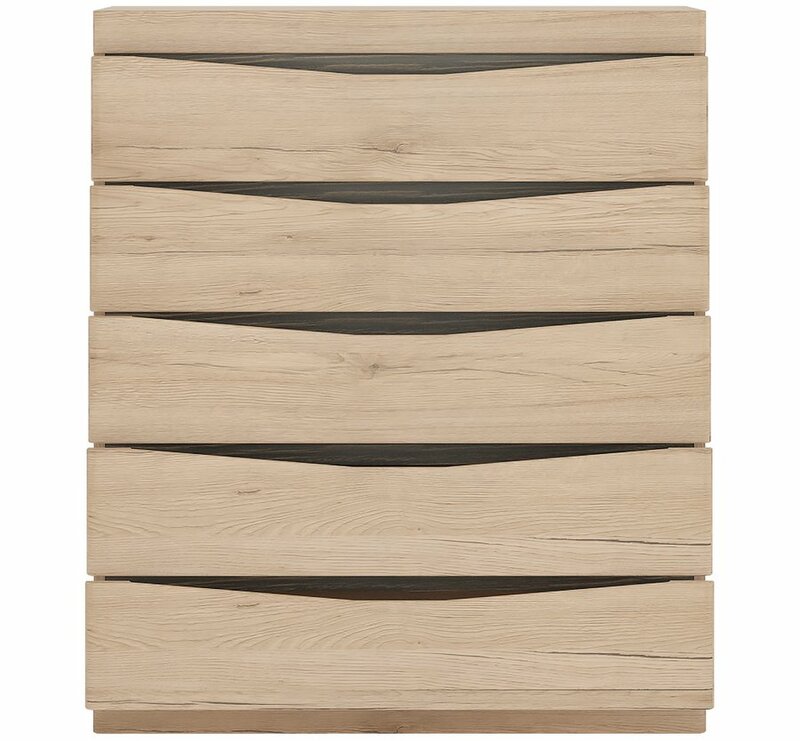 Five good sized drawers with soft close easy glide metal drawer runners. 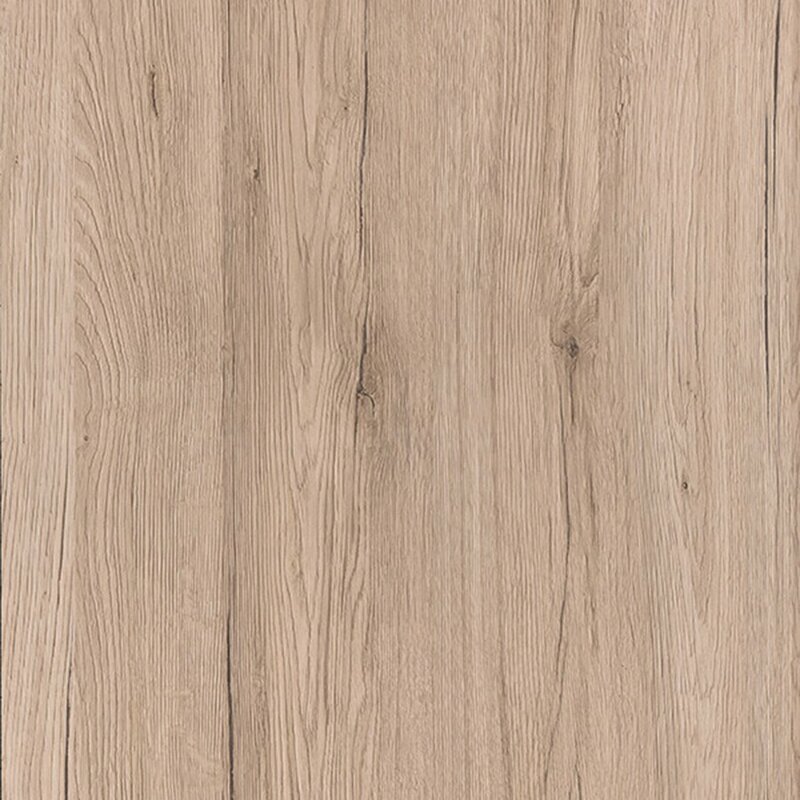 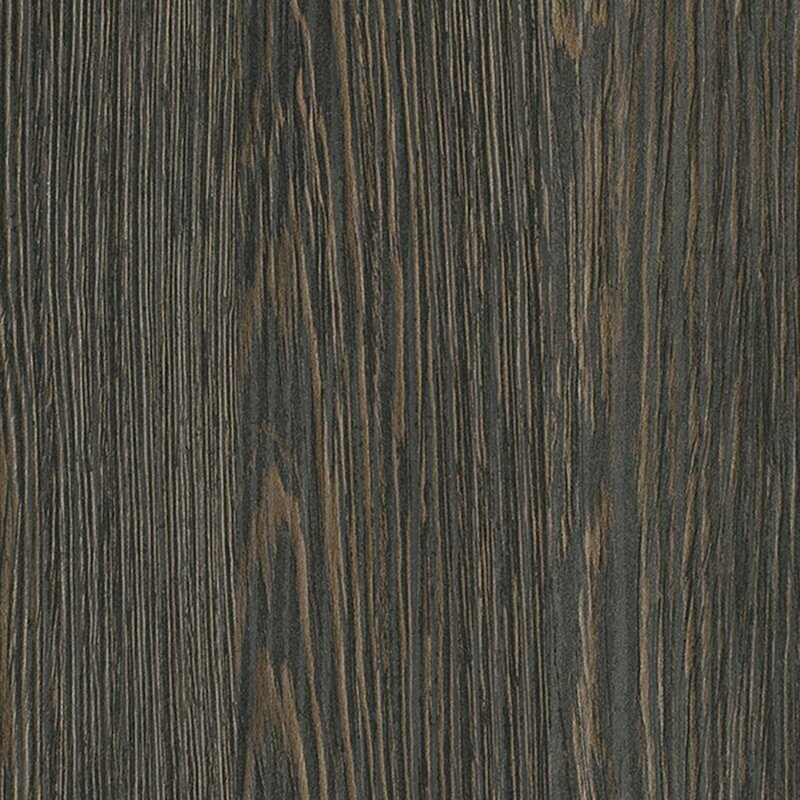 Inspired by natural timber the Kensington range has a warm oak grain finish and contrasting dark trim. 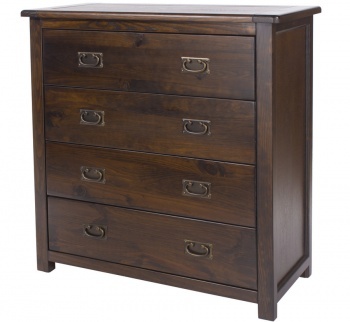 The style of the drawer chest works well in both modern and traditional interiors. 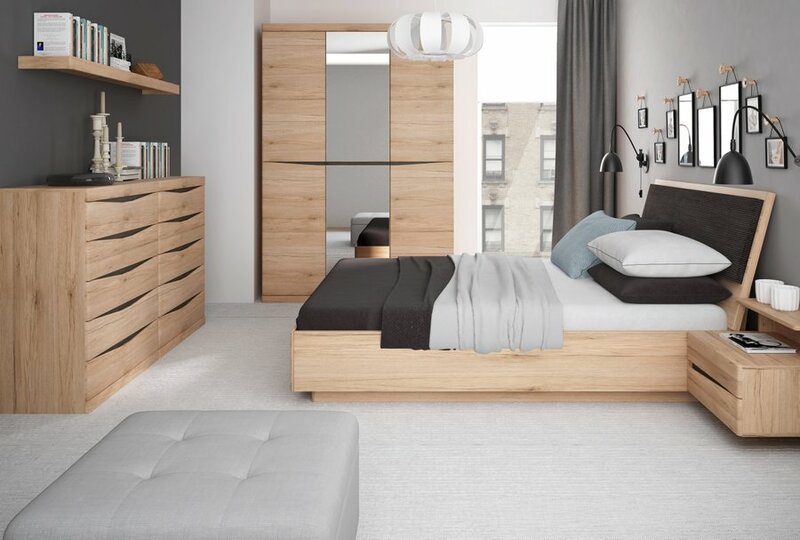 Constructed from laminated board that is scratch, heat and moisture resistant. 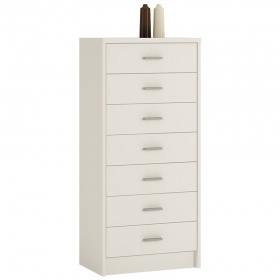 Part of the Kensington furniture range.